This Touch Corrector is enriched with micro-fluorescent particles for a surge of true natural light. It Illuminates, smooths and visibly reduces imperfection. Oil free, Fragrance free, Non Comedogenic and suit sensitive skin! My skin is really sensitive so I'm happy about it. The applicator is like a pen with a brush and make it easier to apply and gentle reach all the difficult angle on our face. The cap is make the brush more hygiene too. The packaging and design of this portable pen is easy to bring and can quickly retouch anytime, anywhere. I only need to push the bottom once/twice to bring out the liquid and it's enough for one time use. The texture is LIGHT and not HEAVY. I've try some concealer brand on their counter but mostly they're feel heavy and I don't really like heavy coverage concealer/foundation. Maybe that's why I never purchased any back then, lol, I don't like my skin look unnatural and too matte. Blend the concealer with my fingers. Aha, as you can see it brightens my complexion, look flawless and fresh. After it blended on to my skin it look so natural, like my skin is born with it! We supposed to find a concealer which is more lighter than our skin tone so it perfectly cover the imperfection. Share this application on my dark circle. Before, look dull and not fresh. Very tired eyes and look not alive. hahahahhaha Yeah I'm lack of sleep because of work now. It looks like a really nice product. I might have to try it when I run out of Erase Paste from Benefit Cosmetics (that stuff is AMAZING if you need something to hide a really red spot on your face or something... stays on all day!). Thanks for sharing the review with us! By the way, I thought you might be the person to ask since you wear circle lenses a lot, what would be a good brand to try if you've never worn contacts or circle lenses and are looking for just a very natural dolly eye look? 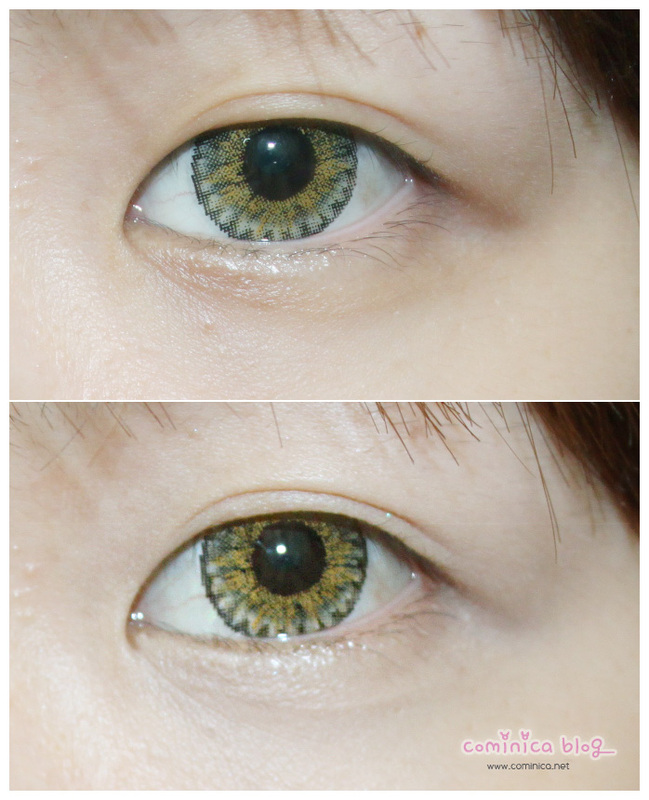 I have brown eyes, so I'd like to maybe get green or brown (I'm so plain OTL). Know of any brand or type that would be good to look for? I don't want to get ones that are SUPER enlarging, because I fear it might be too uncomfortable. ;_; Sorry if this is a bother! You're so lucky not needing one!!! haha! >o< I have very big dark circles under my eyes >_<"
You always have the coolest products! : D This looks really nice! This product seems great! It blends so nice on your skin! the concealer looks great but the price hmmm ._. Your skin is so good you don't really need it. ^-^ I was so bummed because I can't get the YSL touche eclat where I live but this looks like a really good alternative. Heya, I'm new to running a blog and internet sites in general and was curious about how you got the "www" included in your domain name? I see your domain, "http://www.blogger.com/comment.g?blogID=8812634051538402721&postID=5636829506820316341" has the www and my domain looks like, "http://mydomain.com". Do you know the correct way I can alter this? I'm using Wordpress. just wanted to say I truley enjoy reading through your blog. readers? This is one thing I've been battling with mainly because I want good rankings but at the same time I want the best quality for my visitors. domain name but realized it was taken so I figured I'd come check it out. Wonderful blog! in my internet browser internet explorer. I'd highly recommend having somebody look into it. You could possibly lose a lot of guests due to this issue. Very best of Luck. believed it required tons of work. What do you think? Thanks! There's a lot of folks that I think would really enjoy your content. Please let me know. Cheers, for example link building package!